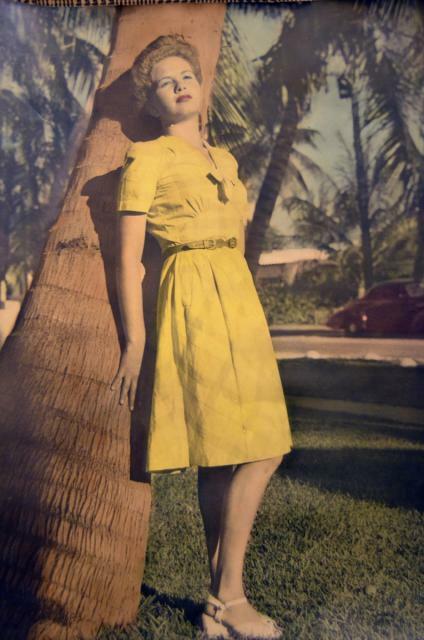 HomeAll PostsContentFeaturesFound Film – Discovering Lost Memories! Found Film - Discovering Lost Memories! What's more exciting than finding a roll of exposed film in an old camera from a flea market?! Finding exposed film or negative that belonged to a family member! 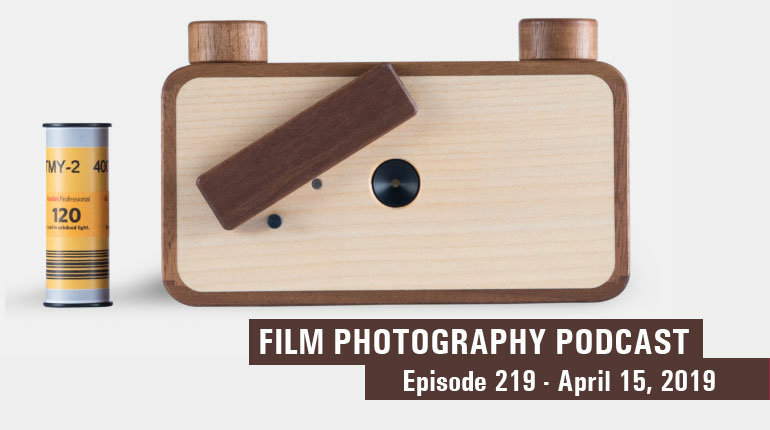 Fellow film photographer Bill Counts recently discovered The FPP and has a found film story - "Found The Film Photography Podcast about 3 months ago. It’s FANTASTIC! You and the gang keep me jazzed about shooting film. I’m 52 and have been shooting since I was 6 - any camera or film type I could get my hands on. My uncle passed away several years ago and his wife more recently. They had no children and left me his automotive mechanics tools and an old suitcase. 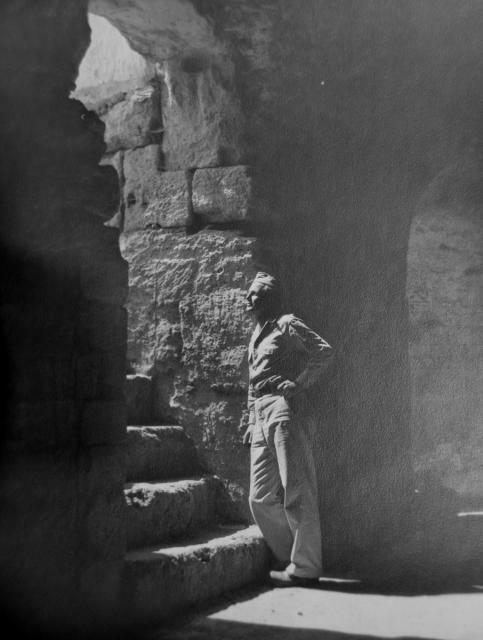 Inside the suitcase were hundreds of photos and negatives from his time in World War II. 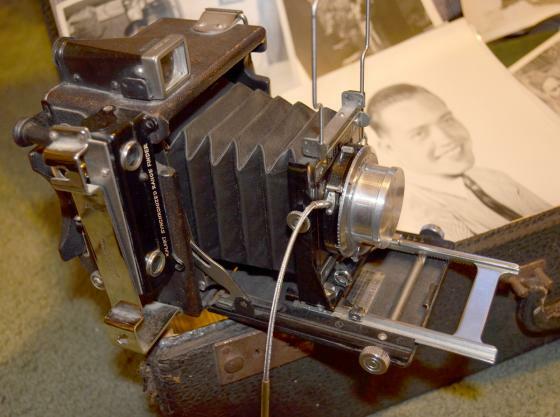 There was also an old Speed Graphic, which I’ve included a picture of. It’ has several dark slides and a magazine back. I believe it takes 6x9mm (I guess that’s 2 ¼ x 3 ¼). My problem is I can’t find film for it anywhere. I don’t think the lens is original because the body won’t shut with the lens attached. 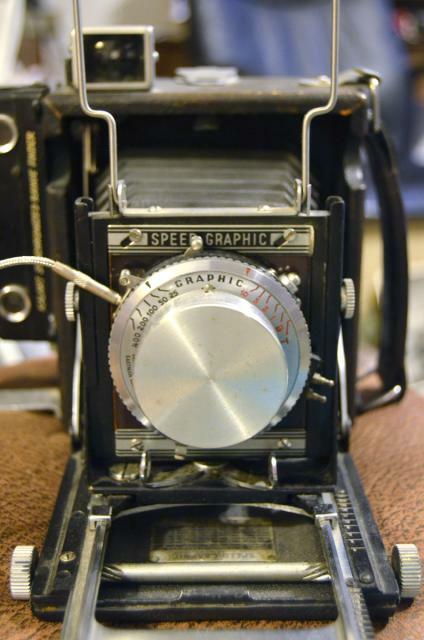 There’s a shutter on the lens but the camera also has a focal plane shutter also. It’s in very good condition considering it’s age. Do you have any suggestions as to finding film to shoot? I’d love to do some shooting with it for sentimental reasons. 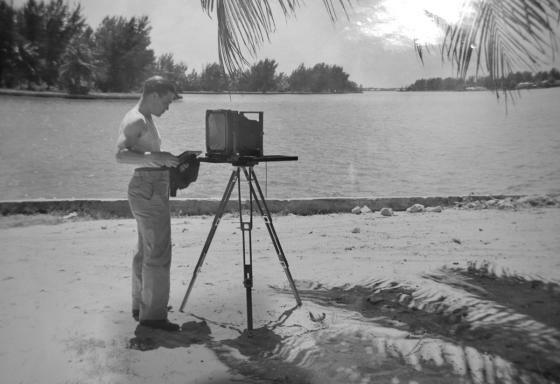 He also had an old 120 Kodak camera, enlarger, other darkroom equipment, and several cans of film that appear to be for aerial reconnaissance and some for the gun cameras of the B-26’s in his squadron. He was in charge of developing the film that came back from battle. 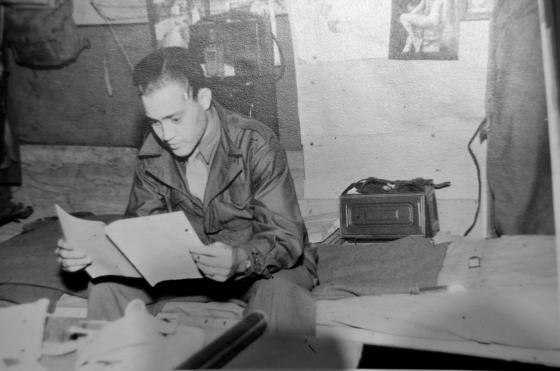 One of the pictures in the suitcase shows him with an 8x10. I’ve been unable to locate its whereabouts. The pictures are amazing considering they are 70 years old. Many are aircraft “nose art” and he liked photographing the girls too. Some of his photos he apparently colored with paint from a kit, which was also in the suitcase. 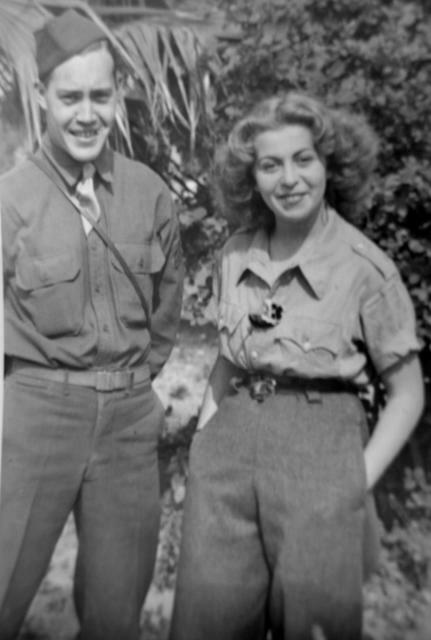 One of the pictures is of him and a girl that appeared on the cover of life magazine (according to my dad). Quite a few of the 6x9 negatives appear to be nudes. He has so beautiful scenic of Egypt, Israel, Rome and England. 70 years from now will people still be able to look at the digital images they shot if they didn’t print them? Long live film!! Thanks SO much for the podcast! Keep up the great work! Hi to all the gang!